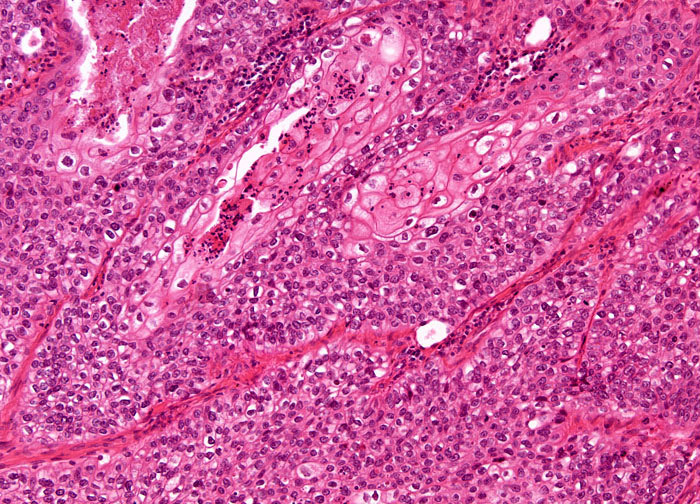 Due to their common central location in the lung, epidermoid carcinomas frequently cause symptoms to develop in patients before adenocarcinomas and other cancers that usually affect the periphery of the lung. Some of the typical early signs of the disease include a cough that will not go away, coughing up blood or mucus, fatigue, wheezing, and shortness of breath. Many other symptoms, such as unexplained weight loss, difficulty swallowing, hoarseness, swelling of the face or upper body extremities, chest, shoulder, or arm pain, and neurological problems, including confusion and seizures, may also develop and are responsible for bringing many cases to the attention of a medical professional.